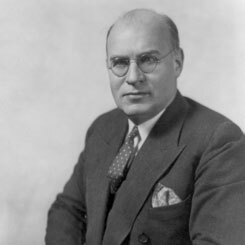 Image courtesy of Library of Congress One of the longest-serving House Members in history, Congressman Emanuel Celler of New York dedicated nearly 50 years of service to his Brooklyn-area constituents. On this date in 1962, the House passed the 24th Amendment, outlawing the poll tax as a voting requirement in federal elections, by a vote of 295 to 86. At the time, five states maintained poll taxes which disproportionately affected African-American voters: Virginia, Alabama, Mississippi, Arkansas, and Texas. The poll tax exemplified “Jim Crow” laws, developed in the post-Reconstruction South, which aimed to disenfranchise black voters and institute segregation. Some critics of the legislation thought the amendment did not go far enough to protect black voting rights in state and local elections. Representative John Lindsay of New York contended, “If we’re going to have a constitutional amendment, let’s have a meaningful one.” Judiciary Chairman Emanuel Celler of New York dismissed the criticism and proceeded with the bill as introduced. On January 23, 1964, the 24th Amendment became part of the Constitution when South Dakota ratified it.